We all believe that building a relationship with customers should result in increasing retention, repurchase, average order size, sales and profits. But how can you prove that? How can you prove that the extra costs of the relationship building program do not wipe out the extra profits from the operation? To do database marketing properly, you need to set up test and control groups so that you are absolutely sure of what you are doing. Then you have to sell the results to senior management. 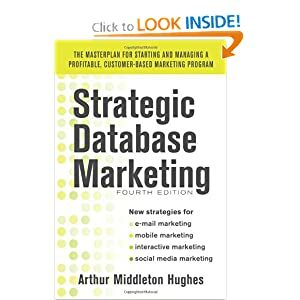 This is the story of a very creative and successful business to business database marketing program, which serves as an example of the profits that can come of building a profitable relationship with customers. Mark Peck is Executive Vice President and Chief Operating Officer of Hunter Business Direct in Milwaukee. A few years ago he was approached by a large manufacturer of building products which sells primarily to building contractors. They produce a big catalog each year that they send to 45,000 contractors and wait for the orders. Business was good, but they wanted to experiment with database marketing. They came to the right place. Hunter has become a key leader in business to business database marketing. Peck formed a marketing strategy team composed of Hunter experts and members of the manufacturer’s marketing staff. They ranked all of the previous year’s customers into deciles by total sales. The decided to zero in on the top three deciles – a group of about one thousand business customers. Customers in the top decile placed about 18 orders during the year amounting to about $20,000 per year. Those in the third decile placed about six orders totaling an average of about $5,500. The team decided on a pilot program which would determine what could be done to stimulate increased sales from these top three deciles. The team divided the customers into a test group of 500 and a control group of 500. 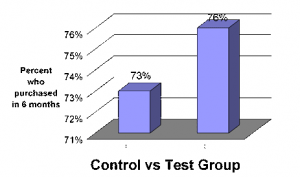 The goal of the test was to increase repurchase, purchase frequency, average order size and annual account revenue by building close relationships with the test group, while giving the control group no special attention. The control group was treated exactly the same as customers had been treated by the company for the past three years. 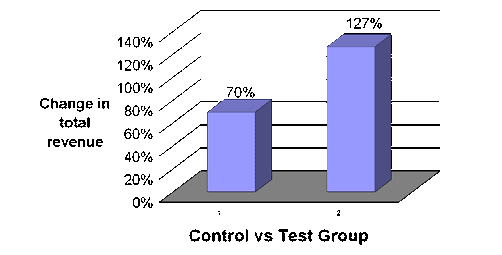 Their statistics on previous purchase behavior enabled Hunter to predict with some accuracy what the groups would do during the test year. They studied and predicted trends of retention, repurchase, product penetration, average order size, number of product lines per customer. As the test worked out, the control group behaved exactly as predicted. In the first place, the relationship building had a small but measurable impact on repurchase. Of the 500 companies in the control group, 365 made purchases during the following 6 months. Of those in the test group, 380, or 15 more companies made purchases during the same period. With an average revenue by these 1,000 firms of $9,000 in a six-month period, customer retention was highly important. The spending by these 15 additional firms alone during the six months amounted to $135,000 – a worthwhile return for the $50,000 spent on the two-person relationship building staff during the same period. But the benefits were not limited solely to retention. The number of orders increased as well. The control group placed fewer orders (82%) than they had in the previous six-month period. 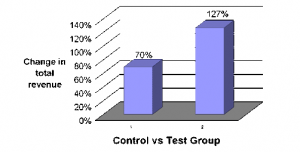 The test group placed more orders (112%) than they had before. This amounted to a 30% increase in orders as a result of the six-month test. But the number of orders does not tell the whole story. 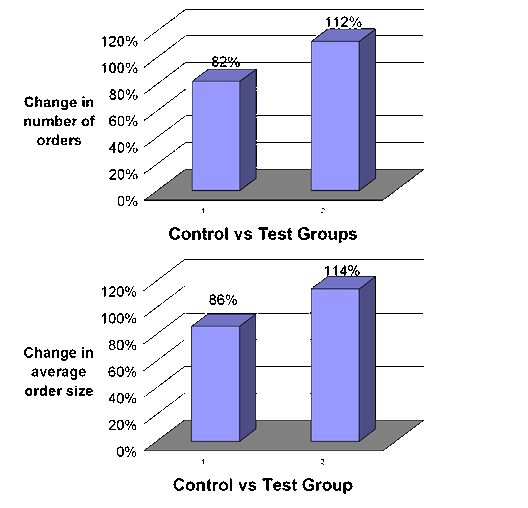 The average orders which the test group placed were larger in size than the control group – and larger than the orders which they themselves had placed during the previous six months period. 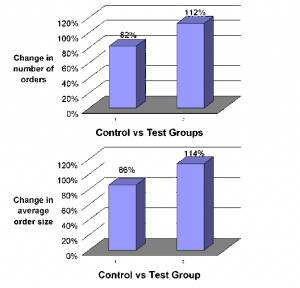 Those in the control group spent 14% less on the average order, while those in the test group spent 14% more than they had on the average order in the previous six months. The overall difference was an increase of 28% in the size of the average order. The combination of increased number of orders and increased average order size resulted in a whopping 81% increase in total revenue as a result of the two person test. No one can look at these numbers without seeing the power of successful database marketing. The Vice President of Marketing was thrilled with the results, and was prepared for a major rollout in the following year. But, in the business world, things do not always work out as they do in the fairy stories (“and they all lived happily ever after”). Soon after the test was completed, the manufacturer was purchased by another company. In the reshuffling that took place in the merger, the relationship building program lost its champion and its funding. While the program could be started again in the future, it will require the reeducation of new management and marketing staffs. The setback due to the reorganization, however, does not invalidate the tremendous success of this powerful pilot study. Relationship marketing works, particularly in Business to Business. Even so, it is an uphill battle to get the ideas of relationship marketing adopted throughout industry. We owe a great deal to pioneers like Mark Peck who, like Sisyphus, keep rolling the boulder up the mountain, trying to reach the top.